Let’s be honest. A good cup of coffee in the morning is just what you need to start the morning off right. But you cannot just expect your everyday coffee maker to work seamlessly day in and day out, so it’s no surprise that your neglected coffee maker spits out poor tasting coffee. The good news is that the loss of flavor from your coffee maker does not have to be permanent. In fact, a good cleaning may be all you need to restore the taste of your morning brew. What is Happening to my Coffee? Basically, mineral deposits from water and coffee residue will build up over time and impact both the flavor and the efficiency of the coffee pot. 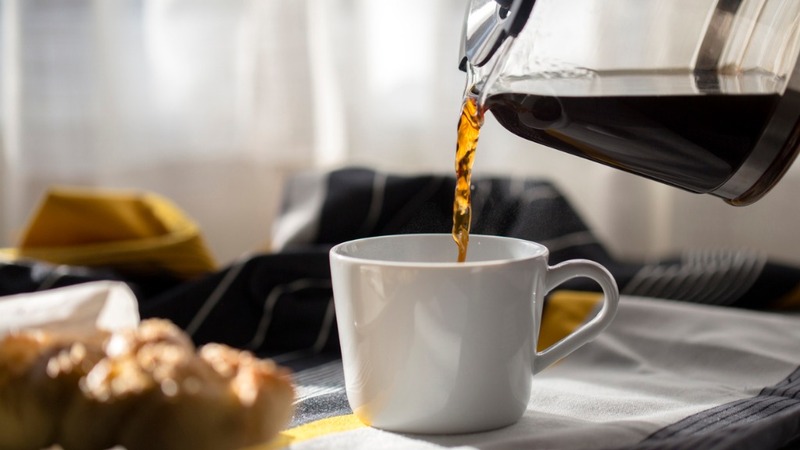 In addition, coffee pots are known havens for bacteria and mold, so drinking from an unclean coffee pot could potentially mean drinking mold! Clearly, regularly cleaning your coffee maker is the smart thing to do. A great way to do this is to use a tried and true vinegar solution. Follow this step by step instruction and your coffee maker will be brewing sweet smelling coffee in no time. 1) First, rinse what you can. Dump out old coffee and grounds, and rinse removable parts like the carafe. Make sure to remove the coffee filter and water filter if present. 2) Now, fill the water reservoir with a concoction of equal parts white vinegar and water. This will loosen and remove bacteria and mold buildup inside the machine. 3) Run it through a drip cycle and let the mixture sit in the carafe for a few moments. Then, for thorough cleaning, do it again. 4) Then, fill the water reservoir with clean water (no vinegar) and run the machine through a drip cycle twice. This will clean out any lingering vinegar in the machine. 5) If the outside of your coffee maker has seen better days, you should also take this time to wipe down the exterior with a lint-free cloth and hot soapy water. 6) Your coffee machine is now back in business, and ready to brew better tasting coffee for your enjoyment! Obviously rinsing what you can after each brew is the best way to maintain good tasting coffee in the long run. But if that takes too much time for you, we still recommend using a monthly schedule to clean your coffee machine. It is that important to maintain a clean machine because we want you to have a strong-tasting brew every morning. Remember, cleaning your coffee pot is not just for aesthetic reasons. If waking up to a great tasting morning brew is important to you, then a clean coffee pot is just as important. Thus, cleaning the pot is investing in your future coffee enjoyment! Thank you for reading this article and happy cleaning your coffee maker!